This past summer I enjoyed a meal with my aunt and cousin who were in town at the new Dolce Italian located inside the Godfrey Hotel. Lunch was amazing and it's a spot I would definitely recommend. 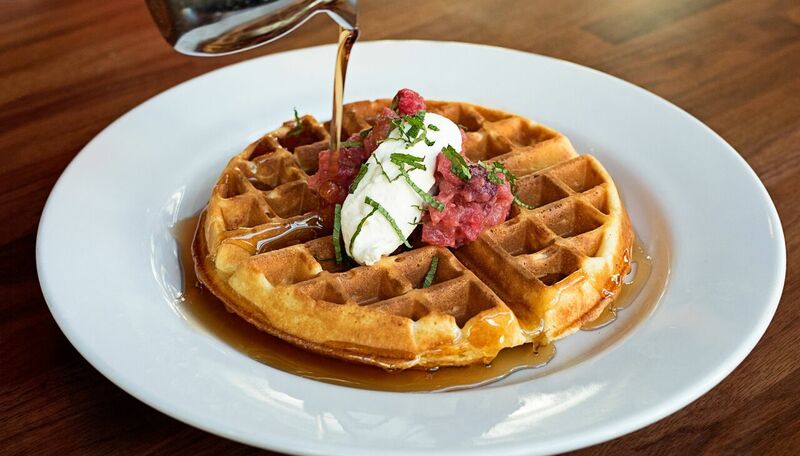 This week I got an e-mail letting me know that they've now launched a weekend brunch menu as well as a prix-fixe lunch that is nicely priced with quick, but tasty options, so I wanted to pass on the good news. Read on for more details. 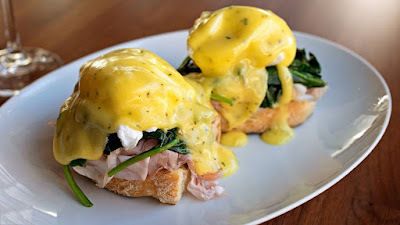 The newly-launched Weekend Brunch menu brings an array of gourmet dishes to the table (literally), such as the Dolce ‘Benny’ featuring poached eggs on Ciabatta bread ($19) and the Brunch Pizza with sausage and a poached egg ($15). To complement the tasty meal, guests can sip on bottomless glasses of Bellini, Mimosas or Bloody Marys with the Bubbles Package ($19/person) – Dolce’s chic installment of boozy brunching with friends and family alike. Dolce Italian’s Weekend Brunch is offered on Saturdays and Sundays, from 11:30am-3:00pm. Because a leisurely lunch is not always feasible in this fast-paced city, Dolce Italian created the new Expresso Prix-Fixe lunch to give Chicagoans a taste of intimate Italian fare, without cutting into their day (or wallet!). Priced at only $21, the weekly rotating menu offers guests a wonderful menu selection with a biscotti treat and espresso or coffee to finish. Seasonal dish options include Fall Squash Soup with Ciabatta croutons, Faroe Island Salmon with a Caper Meuniere sauce and Roasted Chicken with root vegetables and Brussel Sprouts. Munster Ale Fest is just hours away!